One of my favorite perks of writing historical fiction is getting to research on anything and everything connected to your novel. Lately this means I’ve been reading up on the Soviet Union, particularly the time period around the Great Depression. 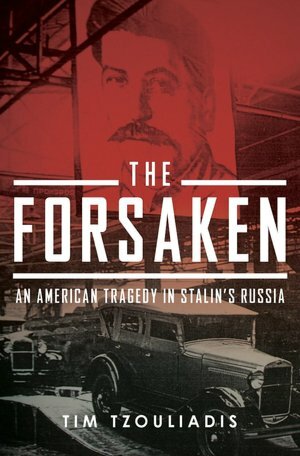 The Forsaken, by Tim Tzouliadis, covers the period of time around the Great Depression, when many Americans were lured to the Soviet Union because it seemed immune to the troubles the world economy was plagued with. This book definitely covers a period of history that not many people have ever heard much of or even knew existed. Thousands of Americans fled to the Soviet Union hoping to find much-needed jobs. Instead, they soon found themselves trapped in a dictatorship that systematically murdered almost twenty million of its citizens. For a while, the Soviet Union was enamored with these refugees. They formed baseball teams and worked in the Ford Factory at Nizhny Novgorod. Other ordinary Americans laborers found themselves overseers when they went to the Soviet Union. But this short time didn’t last. Within three years, the American population was arrested and put into the Gulag concentration camps. As years followed their children and children’s children were also arrested and put into the camps. But that isn’t the main focus of the book. Yes, the Americans were arrested and treated equally as badly as Soviet nationals or POWs from the war. The main focus of the book is how these Americans were utterly ignored by their own nation, or, forsaken. The American government had the power to push for the release of these Americans, and yet nothing was done. For president after president the situation was ignored. American ambassadors to the Soviet Union did nothing, despite repeated pleas for Embassy assistance. High-ranking US officials such as Henry Wallace, vice-president of the United States, toured the Gulag and fell for the elaborate staging the Soviets set up. But the book also covers the concentration camps in general, and doesn’t exclusively focus on Americans. It tells of the conditions in camps across the Soviet Union, where the situation was the same no matter who you were. The book really brings up a lot of questions: when American officials knew as much as they did, how could they be fooled by the Soviet excuses and turn a blind eye to the organized murder of 20 million people? The Forsaken tells the story of a little-known footnote in history. And though it covers the stories of these forgotten Americans very well, it also draws attention to a very well-hidden part of the 20th century, namely, the mass purges under Stalin. Still, because of the graphic nature of this time in history (which I feel the book covers admirably, but be advised), and the very specific nature of this book, I wouldn’t recommend it to everyone. If you’re a history buff or just interested in Russia, this book is definitely an intriguing read that you won’t regret. 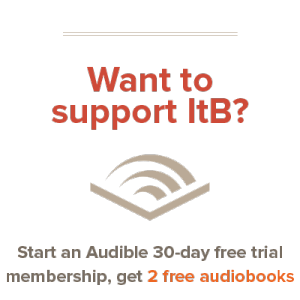 Good review, and it sounds like the book might be worth recommending even to those who aren’t interested in Russian history for the same reasons that you are. Actually, if anyone can confirm that those are from Edmund Burke, it would be good. I looked them up online and found them attributed to different people. One more thing… I get a bit concerned when reviewers say that a book is “graphic” and “not necessarily for everyone”. At what point does a book cross the line and become inappropriate because it is not edifying and glorifying to God. Don’t misunderstand me, a book can document some of the most horrific evil or a godless philosophy or diabolical ideas and still be edifying and worth reading because it points us negatively to our need to return to God in repentance. I just think that it would be good if reviewers explained what they mean by “graphic” and who exactly the book might not be good for. @Bryan: As to your concern about the book being graphic, I guess I should explain myself a bit better. I didn’t feel the book in itself was unnecessarily graphic, which was my reason for writing I felt that it handled things admirably. =) My main reason for not recommending it to everyone is that it covers a very specific time in history which I’m only reading about because of my novel. You make a good point; this is definitely a period of history that needs to be learned about. I’d still maintain that learning about the purges in general would be more helfpul than this specific footnote. @Andrew J. Wow, what power I have! I’ll be sure to be “considerate of others” in my comments and continue to ruffle feathers.